Abstract reasoning tests are arguably the toughest form of aptitude test. Use this guide to learn expert tips & be sure to take a few abstract reasoning practice tests. Get hold of our recommended abstract practice tests here. Read our other aptitude test guides here (numerical, verbal, logical etc). Click here to download our abstract reasoning survival kit (with tips, cheatsheet & practice questions). 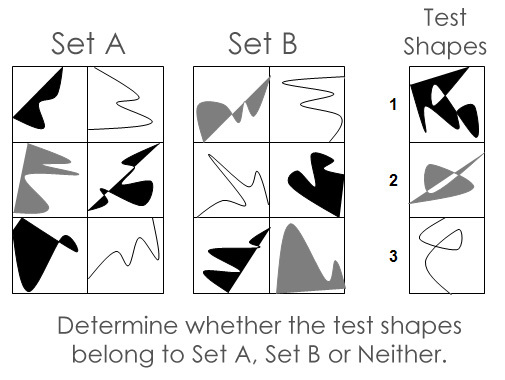 Your abstract reasoning test will assess your ability to identify and interpret patterns. How easily can you see rules & consistent patterns in sets of objects and verbal data? Can you tell how a pattern of objects in a sequence should continue? As with all types of psychometric testing, an abstract reasoning test also gives employers a view of your overall intelligence and judgement. Abstract reasoning tests, inductive reasoning and diagrammatic reasoning are areas that overlap. 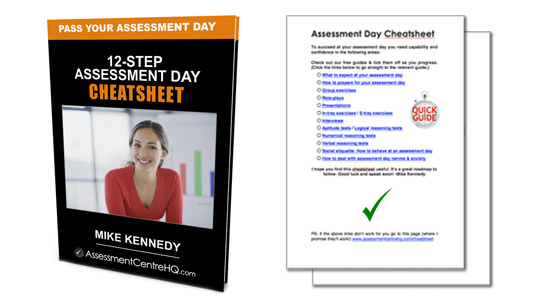 Test providers and assessment companies often refer to these similar tests by different names. It can be a little confusing but the thrust of the assessment is exactly the same regardless of the terminology. Click here to download a worksheet with practice abstract reasoning questions. It depends on your prospective employer. 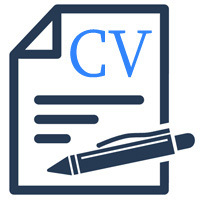 Sometimes candidates are asked to take an abstract reasoning test before an interview or assessment event, but it’s possible your abstract reasoning test will take place during the interview day itself. Most abstract reasoning tests will show you a sequence of shapes, words or illustrations and ask you to predict what comes next in the sequence. Which of the 4 shapes below would come next in the above sequence? Ok, let’s try again. Here’s the sequence of shapes. Can you spot a pattern? Which of the 4 shapes below would continue the above pattern? How did you do? Did you spot the patterns? The correct answer to the first question was the fourth shape (the one on the far right). The correct answer to the second question was the third shape. These are two easy examples and it’s likely that your abstract reasoning test will be significantly more difficult. We always recommend these abstract reasoning practice tests because they are supplier-specific and contain very clear explanations. A difficult-looking question can hit your confidence and it’s vital you don’t let this mentally weaken you. Remember that often there are shapes and colours that are in the sequence merely as distractors to make the question to look harder. This is often the case if the pattern has unusual or strange shapes, like the one above. To quickly ‘decode’ a pattern, compare only one element at a time. Orientation, size, shade of colour, symmetry, angle, location and direction of both inner & outer shapes. Study carefully. Remember, look only at one element at a time. Click here to get our abstract reasoning coaching videos. A useful way to break down a confusing sequence is to approach it from the end, first. What patterns or consistencies can you see in the multiple choice shapes you’re given? This will often lead to a breakthrough for tricky questions where a conventional approach has proved unsuccessful. Staying calm is easier said than done, but nothing will damage your performance more than losing focus during your abstract reasoning test. The test will be timed of course and some people find this introduces an element of pressure that makes it tough for them to concentrate. 4) Practice beforehand. Practice beforehand. Practice beforehand. Nothing with boost your chances of success more than practising real, timed, abstract reasoning tests. Being comofortable with the format, structure and general nature of the test will help you relax and ensure you perform to your maximum on the big day. What about free tests? Well, there are free tests available on the web, but overall, they tend to be low quality and out-of-date. This means they don’t accurately represent what you’ll face in a modern test and that pretty much defeats the object of taking a practice test. Most abstract reasoning tests last for around 40 minutes and it’s essential that you manage your time carefully. Scan ahead and see how many questions remain in the test, this will help you gauge how much time to allocate for each question. PRO TIP: If you’re stuck on a difficult question don’t waste time trying to solve it. Just move on. Another simple-but-effective tip is to try doing some logic puzzles. You’ll find them in most newspapers, but it’s best to buy a book of them from the newsagents and you can practice lots of them in a short space of time. ‘Psychometric tests for Dummies’ (Amazon.co.uk) will get you up to speed. We always recommend the JTP abstract reasoning practice tests because they are supplier-specific and contain very clear explanations. As stated above, one of the hardest parts of abstract reasoning is simply figuring out ‘the rules’ of the test itself; the elements in play are often deliberately vague. These tests do a great job of adapting you to this disorientating aspect of abstract reasoning. We hope you enjoyed this free guide? We’d love to hear your feedback so please do get in touch and let us know. Thanks and good luck in your abstract reasoning test!